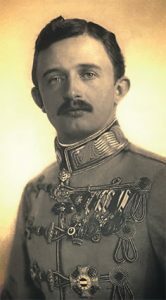 In 1916, Archduke Karl, after a strict Catholic, aristocratic and military upbringing, inherited the throne of the Austro-Hungarian Empire. He was still only twenty-nine, handsome, popular, and charming, married to a lovely young woman, Zita of the royal house of Bourbon-Parma. Intelligent, consistent, and progressive by the conservative standards of his time, Karl was not only convinced of the aristocracy’s mission to rule, but also accepted its duty to serve. As a child he had looked after his little brother Max with kindly solicitude, an unusual trait for one of his breeding. All through his life, straightforwardness and loyalty marked his character. As soldier and statesman he attended daily Mass when possible. During the war he lived frugally. In fact, he never fattened his own purse with imperial money, and never built up a royal nest-egg for himself at foreign banks. As Emperor, he feared the egotism and arrogance of nationalism, so distrusted his German allies. He worried over the trials of political agitators in Austria, ordered a review of the recent trials and commuted death sentences. In 1917 he granted an amnesty from which over 2,500 prisoners benefited. Long before Berlin could see it, Karl foresaw defeat for the Central Powers, for his own empire, and for Kaiser Wilhelm’s Germany. On November 11 1918, Karl was obliged to renounce his Austrian throne and, later, the Hungarian one. He never abdicated, but voluntarily abandoned his power. Forced to seek exile in Switzerland in 1919, he attempted unsuccessfully to return to Hungary two years later. The last of the Austro-Hungarian emperors died in penury in Madeira on 1 April 1922 with the holy name of Jesus on his lips. He was only 34. His wife, Zita, lived a further 67 years, wearing mourning black to the end. Blessed Karl, save our world from the ravages of war. Lydwina was born of very poor parents at Schiedam Holland. 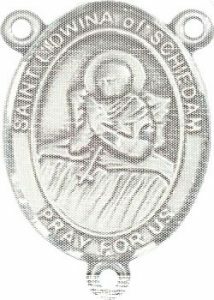 Very early in her life she was drawn towards the Mother of God and prayed a great deal before the miraculous image of Our Lady of Schiedam. During the winter of 1395, Lydwina went skating with her friends, fell heavily and broke a rib in her right side. Gangrene appeared in the wound caused by the fall and spread over her entire body. For years she lay in pain which seemed to increase constantly. God rewarded her with a wonderful gift of prayer and also with visions. Numerous miracles took place at her bedside. From her fifteenth to her fifty-third year, she suffered every imaginable pain; she was one sore from head to foot and was greatly emaciated. On the morning of Easter-day in 1433 she was in deep contemplation and beheld, in a vision, Christ coming towards her to administer the Sacrament of Extreme Unction. She died in the odour of great sanctity. 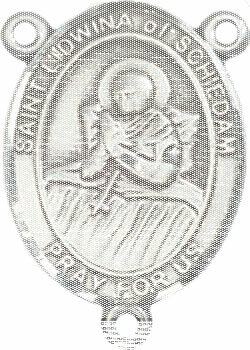 Saint Lydwina, teach us to suffer pain graciously. 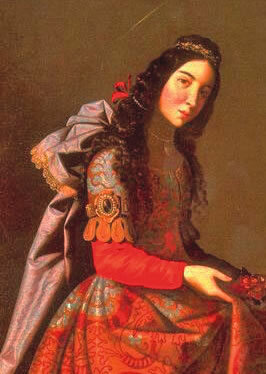 According to her legend Casilda, a daughter of a Muslim king of Toledo, showed great compassion for Christian prisoners by frequently smuggling bread, hidden in her clothes, into the prison to feed them. She was raised a Muslim, but when she became ill as a young woman, she refused help from the local Arab doctors and travelled to northern Iberia to partake of the healing waters of the shrine of San Vicente, near Buezo, close to Briviesca. When she was cured, she was baptised at Burgos (where she was later venerated) and lived a life of solitude and penance not far from the miraculous spring. It is said that she lived to be 100 years old. Saint Casilda, help us to discover the value of solitude with God.